VANCOUVER — Balmy spring weather and fantastic views were an invitation to stack outside, but conference goers put their heads together to talk about the future of open infrastructure in this return to Canada. These discussions were enriched by the participation of 30 open-source projects including Ansible, Ceph, Kubernetes, ONAP, Istio, Envoy, Spinnaker, OpenContrail and more. You can also catch videos for the Summit sessions on the OSF website. 1) During Monday’s Summit keynotes, James Blair, founding member of the project team, gave an overview of Zuul, an open source CI/CD platform specializing in multi-system gating, its recent version 3 release. Blair announced that Zuul is now an independent project hosted at the OpenStack Foundation (OSF). Zuul is the third project to be managed by the OSF, joining OpenStack and Kata Containers. 2) After Kata Containers was announced at KubeCon last December, the team announced the 1.0 release on Tuesday morning followed by a live demo from Eric Ernst and Anne Bertucio during the container infrastructure keynotes Tuesday afternoon. Kata Containers 1.0 delivers the fully integrated code bases of the two technologies contributed to form the foundation of the project: Intel® Clear Containers from Intel Corporation and runV technology from Hyper.sh. 4) The second annual OpenDev was co-located with the OpenStack Summit, focused on CI/CD. The event featured keynotes from Ericsson, Google, Mesosphere, Red Hat and the University of Washington as well as presentations and collaborative sessions around CI/CD technologies including Jenkins, Spinnaker, TravisCI and Zuul. 5) The next OpenStack release, Rocky, is scheduled for launch in late August 2018. Anne Bertucio provided an overview of the features scheduled to land, including mutable configuration across projects, fast forward upgrades, cluster upgrades and healing via Magnum and more. Check out the full list of features in the Rocky roadmap presentation. 6) As for what’s next for the S release, support for Support Python 3.5+ emerged as a top priority with other proposals include adding microversions to REST APIs, implementing API reference guide changes and adding notification schemas. Full Etherpad with discussion here. 7) Nokia’s Gergely Csatari brought forward from the Denver PTG a Forum session on gaps identified by ETSI NFV between ETSI NFV specs and OpenStack APIs; in Vancouver the group work focused on IFA005 gaps, more on the Etherpad here. 8) On the last day of the Summit, 10 community members were recognized by the Community Contributor Awards with quirky categories like the Bonsai Caretaker Award. 9) The Progressive Insurance team is leveraging the open APIs of OpenStack to provide the instrumentation to lead Progressive into the next generation of data analytics. Hear more about how they use OpenStack, Kubernetes and OpenShift to manage their big data use case. 10) Retail superstar Target came to talk about how OpenStack is rapidly becoming the foundation of their compute infrastructure. The team talked about the evolution of Target’s OpenStack architecture and deployment process over three years of production use, including CI/CD and containerization. 11) The team at Walmart Labs provided an overview of Galaxy, a multi-cloud validation tool that aims to minimize the mean time to detect issues on any number of clouds across OpenStack. A Python-based application, it’s easily pluggable to existing clouds. The idea behind this tool is to substantiate the results of the Openstack components health and perform validations of all kinds required to declare the health of the cloud. 12) The CERN team kept up its tradition of knowledge sharing with the community with a host of sessions in Vancouver, including: the evolution of networking, integrating Ironic into CERN’s private cloud, experiences with federated and multi-cloud, Ceph and HPC infrastructure and moving from CellsV1 to CellsV2. 13) Focusing on the challenges and opportunities that containerization provides in refining and modernizing CI/CD pipelines, AT&T spoke about the AT&T Integrated Cloud. 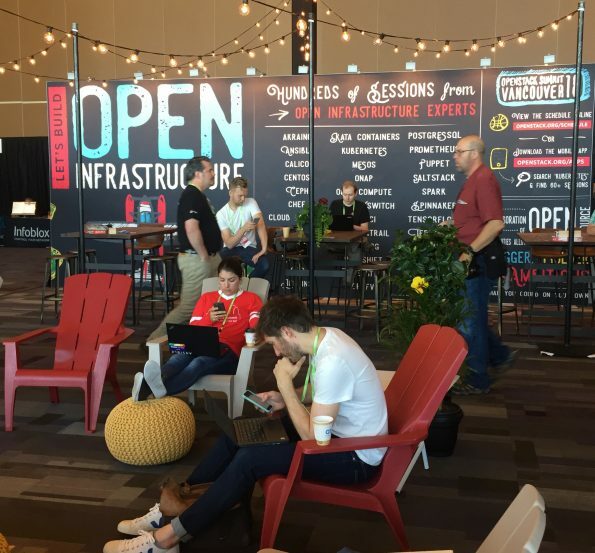 14) A demo showcased OpenLab, a community-led program to test and improve support across platforms including Kubernetes, Terraform, Cloud Foundry and more running on OpenStack. To highlight the integration testing across these technologies, Melvin Hillsman, a contributor to OpenLab, joined Mohammed Naser, CEO from VEXXHOST, to deploy an application on top of Kubernetes, leveraging the OpenStack cloud provider. Additionally, OpenLab published a case study on how Zuul is currently being used as an offering within OpenLab for projects/ applications / tools that need CI gating and/or automation around testing. 15) China Mobile shared the future of its nationwide network and the architecture, design and requirements it’s designing for edge cloud with focus on TIC (Telecom Integrated Cloud). 16) China Railway shared best practices and performance improvements for cloud storage as it keeps pace with the vast scale and nationwide boom in passenger and freight that require solid technical support. 17) At The Gap, open source is a critical component for an always-evolving infrastructure that serves one of the largest global online and offline retailers. Team members offered a look into how they are using open source tech, including OpenStack and Cloud Foundry. 18) Ontario Institute for Cancer Research (OICR) won this edition of the Superuser Awards and shared operational lessons from running Openstack and Ceph. The Cancer Genome Collaboratory is an OpenStack environment designed to scale to 3,000 cores and 15 PB of object storage. 19) T-Mobile is deploying an Openstack based virtual EPC to continue to support large scale, consumer-facing data connectivity to devices and better prepare for upcoming 5G deployments. Team members shared the use-case for virtual EPC using Openstack as platform and the challenges involved. 20) To support several smart city initiatives, the University of Messina developed an OpenStack-based framework called Stack4Things (IoTronic). Stack4Things exchanges information between IoT/Edge nodes (e.g. smart cameras) and OpenStack via Horizon and Neutron. They shared an edge computing case study for Monasca AI-powered surveillance and monitoring. 21) Atmail, an Australian-based email provider, shared their journey and lessons to date (including implementation lessons with U.S. and E.U. 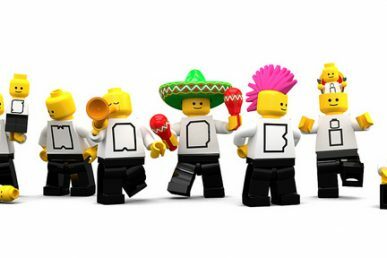 partners); as well as their future with OpenStack projects. 22) Adobe Advertising Cloud manages roughly $3 billion in annual ad spend on behalf of more than 1,000 global clients to help them optimize their advertising spend across channels. Adobe’s high-volume real-time bidding application operates today on an OpenStack private cloud with over 100,000 compute cores in six data centers in the US, Europe and Asia. In this session, TechCrunch journalist Frederic Lardinois and Adobe Advertising Cloud Platform Manager Joseph Sandoval discussed recent developments with Adobe Advertising Cloud, including progress made with automation of operational services, cloud bursting of some workloads back to the public cloud, how Kubernetes plays into the current and future cloud strategy and more. 23) Internet domain registrar and web hosting company GoDaddy showcased what they’re doing with Zuul in a case study and an interactive group working session on continuous integration. 24) Catalyst IT shared its lessons learned in public cloud billing– bugs, providing a solution that can handle at least 1,000 customers and 50 metrics/products — on Catalyst Cloud, a public cloud based in New Zealand. 25) AT&T SKT, Intel Corporation and the OpenStack Foundation announced a new open infrastructure project called Airship. Building on the foundation of the OpenStack-Helm project launched in 2017, it lets cloud operators manage sites at every stage from creation through minor and major updates, including configuration changes and OpenStack upgrades. 26) Cloudify announced a newly enhanced solution to help virtualized network functions (VNF) vendors achieve cloud native capabilities for their networking services in record time, through simplified management and orchestration (MANO). This solution will enable these vendors to fully automate their VNF provisioning, configuration and management on hybrid environments, including Microsoft Azure, OpenStack, VMware, AWS, GCP, as well as add compatibility with industry standards such as ONAP & TOSCA by embedding Cloudify as their VNFM. 27) Juniper Networks announced that Fujitsu Limited has deployed Juniper’s cloud management platform AppFormix in Japan, as a key part of ensuring the operational efficiency of the new region of its widely adopted enterprise cloud platform Cloud Service K5. 28) OSF Gold Member Inspur released version 5.5 of its InCloud OpenStack cloud operating system which features unified management, multi-region support, layered security and disaster tolerance. 29) Mellanox Technologies together with Cumulus Networks announced that Vault Systems, a leading Australian government-certified cloud service provider, has chosen Mellanox end-to-end Ethernet solutions and Cumulus Linux to increase network resilience, stability and scalability. The end-to-end networking solution is fully integrated with OpenStack to provide advanced cloud features combined with ease of deployment and management. 30) Mirantis announced a new VNF certification program that centers around providing communication service providers (CSPs) with validated solutions on Mirantis Cloud Platform that can be more readily deployed by CSPs for production services. 31) The second version of FlexPod SolidFire was released with Red Hat OpenStack Platform 10 – Cisco Validated Design (CVD) solution. Paired with its partner Design Guide, this CVD enables an enterprise-grade OpenStack deployment, in an accelerated fashion, with little risk. 32) One of Monasca’s top contributors, Op5, were on hand in the Marketplace and gave a talk on best practices for monitoring OpenStack with Monasca. 33) Red Hat introduced Red Hat Hyperconverged Infrastructure for Cloud, an integrated solution for customers seeking to co-locate compute and storage functions in OpenStack environments. 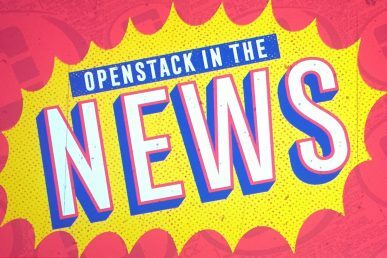 The new offering combines Red Hat OpenStack Platform 13 and Red Hat Ceph Storage 3 in a single user experience, supported by a common lifecycle for greater operational and organizational efficiency. 34) Red Hat announced that Tata Communications chose Red Hat Cloud Suite, Red Hat’s broadest hybrid cloud offering, to help enhance its IZO Private Cloud service. 35) Red Hat OpenStack Platform 13, the latest version of Red Hat’s massively scalable and agile cloud Infrastructure-as-a-Service solution based on the OpenStack Queens release was announced. 36) SevOne had a busy week in the Marketplace with live demonstrations of its NFV Service Assurance Monitoring Solution, optimized for Red Hat technologies. It provides businesses with automation of assurance, performance and insight into virtual network services to reduce downtime and boost customer loyalty. 37) Scale Computing came to Vancouver to demo its NVMe optimized edge solution featuring a Cinder plugin. Lab tests on the solution have achieved mean IO latencies as low as 20 microseconds delivered to a guest virtual machine. 38) SolarWinds announced a wave of updates network management product portfolio, which can support networks up to four times larger than the previous version. 39) StarlingX was announced as an initiative to open source components from the Wind River Titanium Cloud portfolio. Through the StarlingX project, Intel and Wind River are opening many of these enhancements with the hope others find this a good reference platform upon which to innovate. They invite the community to contribute code and looks forward to working together to define the infrastructure stack for edge computing and accelerating integration across many existing open source projects including cloud native technologies. 40) Storage Made Easy announced that it had released to the community an open source compliance rules repository that can be used for GDPR and other compliance regimes. 41) Supermicro brought two new cloud-scale enterprise systems to the Summit Marketplace. The multi-node BigTwin and SuperBlade were showcased along with a 1U Cloud Storage system, all three have already been deployed across data center environments including cloud service providers (CSPs), media streaming, e-commerce, social, telecommunications, semiconductor, OpenStack, artificial intelligence (AI), content delivery networks (CDN), and hyper-converged infrastructure (HCI). 42) Trilio and Canonical announced a partnership agreement to deliver TrilioVault backup and recovery solutions as part of BootStack, Canonical’s fully managed OpenStack private cloud solution. TrilioVault will also be made available as an option to Ubuntu Advantage support customers. As a result, users taking advantage of the Ubuntu platform for their OpenStack deployment now have seamless access to the only OpenStack-native data protection solution on the market. 43) VMware launched its latest distribution, OpenStack 5, based on the Queens release. It counts as one of the first commercial OpenStack distributions to comply with the OSF’s 2018.02 interoperability guidelines. That’s a strong finish for the Vancouver Summit, but we’re already thinking about our next run. We’re taking the Summit to across the pond to Berlin, November 13 – 15, 2018.